Walnut wood fastened to chrome steel. 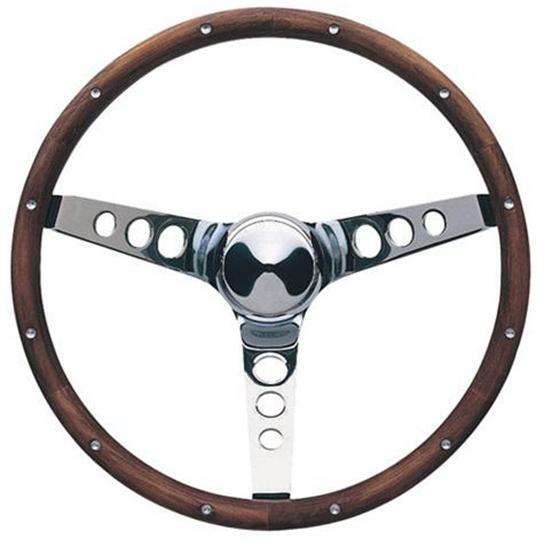 The timeless, wood-rimmed 3-spoke steering wheel has been used on cars since the beginning of the automobile int he early 1900s. This Classic Wood wheel from Grant features hand-polished walnut hardwood rims with anodized aluminum rivet construction and chrome spoke centers. Includes chrome horn button cover. Requires installation kit which includes the horn switch (sold separately) to mount this wheel to your specific steering column.